This article is about the device. For other uses, see Umbrella (disambiguation). "Parasol" redirects here. For other uses, see Parasol (disambiguation). An umbrella or parasol is a folding canopy supported by wooden or metal ribs, which is usually mounted on a wooden, metal, or plastic pole. It is designed to protect a person against rain or sunlight. The word "umbrella" typically refers to a device used for protection from rain. 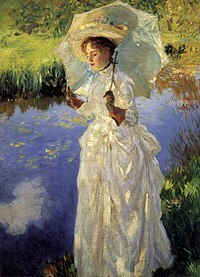 The word parasol usually refers to an item designed to protect from the sun. Often the difference is the material used for the canopy; some parasols are not waterproof. Umbrella canopies may be made of fabric or flexible plastic. 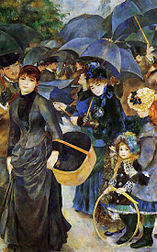 There are also combinations of parasol and umbrella that are called en-tout-cas (french for 'in any case'). Umbrellas and parasols are primarily hand-held portable devices sized for personal use. The largest hand-portable umbrellas are golf umbrellas. 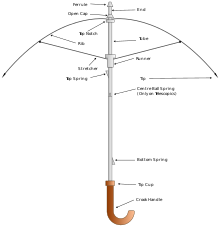 Umbrellas can be divided into two categories: fully collapsible umbrellas, in which the metal pole supporting the canopy retracts, making the umbrella small enough to fit in a handbag; and non-collapsible umbrellas, in which the support pole cannot retract and only the canopy can be collapsed. Another distinction can be made between manually operated umbrellas and spring-loaded automatic umbrellas which spring open at the press of a button. The word "umbrella" evolved from the Latin umbella (an umbel is a flat-topped rounded flower) or umbra, meaning shaded or shadow. In Britain, umbrellas were sometimes referred to as "gamps" after the character Mrs. Gamp in the Charles Dickens novel Martin Chuzzlewit, although this usage is now obscure. Mrs. Gamp's character was well known for carrying an umbrella. 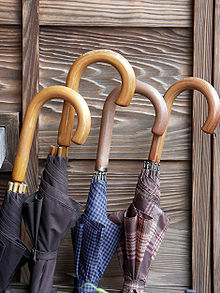 'Brolly' is a slang word for umbrella, used often in Britain, Ireland, New Zealand, Australia, South Africa, and Kenya. 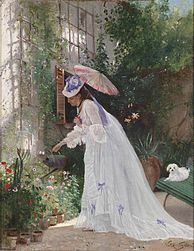 'Bumbershoot' is a fanciful Americanism from the late 19th century. In all written records, the oldest reference to a collapsible umbrella dates to the year 21 AD, when Wang Mang (r. 9–23) had one designed for a ceremonial four-wheeled carriage. 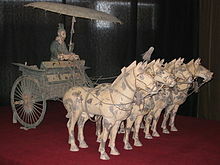 The 2nd-century commentator Fu Qian added that this collapsible umbrella of Wang Mang's carriage had bendable joints which enabled them to be extended or retracted. A 1st century collapsible umbrella has since been recovered from the tomb of Wang Guang at Lelang Commandery in the Korean Peninsula, illustrated in a work by Harada and Komai. However, the Chinese collapsible umbrella is perhaps a concept that is yet centuries older than Wang's tomb. Zhou Dynasty bronze castings of complex bronze socketed hinges with locking slides and bolts—which could have been used for parasols and umbrellas—were found in an archeological site of Luoyang, dated to the 6th century BC. An even older source on the umbrella is perhaps the ancient book of Chinese ceremonies, called Zhou Li (The Rites of Zhou), dating 2,400 years ago, which directs that the dais should be placed upon the imperial cars. The figure of this dais contained in Zhou-Li, and the description of it given in the explanatory commentary of Lin-hi-ye, both identify it with an umbrella. The latter describes the dais to be composed of 28 arcs, which are equivalent to the ribs of the modern instrument, and the staff supporting the covering to consist of two parts, the upper being a rod 3/18 of a Chinese foot in circumference, and the lower a tube 6/10 in circumference, into which the upper half is capable of sliding and closing. The Chinese character for umbrella is 傘 (sǎn) and is a pictograph resembling the modern umbrella in design. Some investigators have supposed that its invention was first created by tying large leaves to bough-like ribs (the branching out parts of an umbrella). Others assert that the idea was probably derived from the tent, which remains in an unaltered form to the present day. However, the tradition existing in China is that it originated in standards and banners waving in the air, hence the use of the umbrella was often linked to high-ranking (though not necessarily royalty) in China. On at least one occasion, twenty-four umbrellas were carried before the Emperor when he went out hunting. The umbrella served in this case as a defense against rain rather than sun. The Chinese design was later brought to Japan via Korea and also introduced to Persia and the Western world via the Silk Road. The Chinese and Japanese traditional parasol, often used near temples, remains similar to the original ancient Chinese design. A late Song dynasty Chinese divination book that was printed in about 1270 AD features a picture of a collapsible umbrella that is exactly like the modern umbrella of today's China. 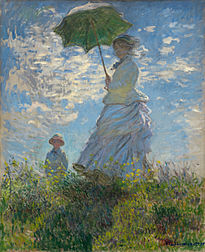 In the sculptures at Nineveh, the parasol appears frequently. Austen Henry Layard gives a picture of a bas-relief representing a king in his chariot, with an attendant holding a parasol over his head. It has a curtain hanging down behind, but is otherwise exactly like those in use today. It is reserved exclusively for the monarch (who was bald), and is never carried over any other person. In Persia, the parasol is repeatedly found in the carved work of Persepolis, and Sir John Malcolm has an article on the subject in his 1815 "History of Persia." In some sculptures, the figure of a king appears attended by a servant, who carries over his head an umbrella, with stretchers and runner complete. In other sculptures on the rock at Taghe-Bostan, supposed to be not less than twelve centuries old, a deer-hunt is represented, at which a king looks on, seated on a horse, and having an umbrella borne over his head by an attendant. In ancient Egypt, the parasol is found in various shapes. In some instances it is depicted as a flagellum, a fan of palm-leaves or coloured feathers fixed on a long handle, resembling those now carried behind the Pope in processions. Gardiner Wilkinson, in his work on Egypt, has an engraving of an Ethiopian princess travelling through Upper Egypt in a chariot; a kind of umbrella fastened to a stout pole rises in the centre, bearing a close affinity to what are now termed chaise umbrellas. According to Wilkinson's account, the umbrella was generally used throughout Egypt, partly as a mark of distinction, but more on account of its useful than its ornamental qualities. 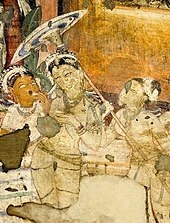 In some paintings on a temple wall, a parasol is held over the figure of a god carried in procession. In Greece, the parasol (skiadeion), was an indispensable adjunct to a lady of fashion in the late 5th century BC. Aristophanes mentions it among the common articles of female use; they could apparently open and close. Pausanias describes a tomb near Triteia in Achaia decorated with a 4th-century BC painting ascribed to Nikias; it depicted the figure of a woman, "and by her stood a female slave, bearing a parasol". For a man to carry one was considered a mark of effeminacy. In Aristophanes' Birds, Prometheus uses one as a comical disguise. Cultural changes among the Aristoi of Greece eventually led to a brief period – between 505 and 470BC – where men used parasols. Vase iconography bears witness to a transition from men carrying swords, then spears, then staffs, then parasols, to eventually nothing. 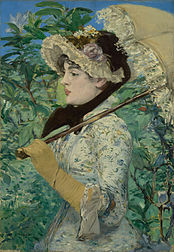 The parasol, at that time of its fashion, displayed the luxury of the user's lifestyle. During the period of their usage, Greek style was inspired by the Persian and Lydian nobility's way of dressing: loose robes, long decorated hair, gold, jewellery, and perfume. It also had religious significance. In the Scirophoria, the feast of Athene Sciras, a white parasol was borne by the priestesses of the goddess from the Acropolis to the Phalerus. In the feasts of Dionysos, the umbrella was used, and in an old bas-relief, the same god is represented as descending ad inferos with a small umbrella in his hand. In the Panathenæa, the daughters of the Metics, or foreign residents, carried parasols over the heads of Athenian women as a mark of inferiority. 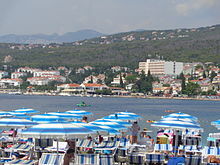 From Greece it is probable that the use of the parasol passed to Rome, where it seems to have been usually used by women, while it was the custom even for effeminate men to defend themselves from the heat by means of the Umbraculum, formed of skin or leather, and capable of being lowered at will. 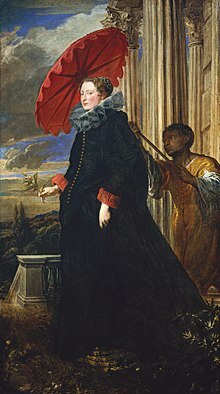 There are frequent references to the umbrella in the Roman Classics, and it appears that it was, not unlikely, a post of honour among maid-servants to bear it over their mistresses. Allusions to it are tolerably frequent in the poets. (Ovid Fast. lib. ii., 1. 31 I.; Martial, lib. xi., ch. 73.; lib. xiv, ch. 28, 130; Juvenal, ix., 50.; Ovid Ars. Am., ii., 209). From such mentions the umbrella does not appear to have been used as a defence from rain; this is curious enough, for it is known that the theatres were protected by the velarium or awning, which was drawn across the arena whenever a sudden shower came on. Possibly the expense bestowed in the decoration of the umbraculum was a reason for its not being applied to such use. According to Gorius, the umbrella came to Rome from the Etruscans who came to Rome for protection, and certainly it appears not infrequently on Etruscan vases and pottery, as also on later gems and rubies. One gem, figured by Pacudius, shows an umbrella with a bent handle, sloping backwards. Strabo describes a sort of screen or umbrella worn by Spanish women, but this is not like a modern umbrella. The Sanskrit epic Mahabharata (about 4th century BC) relates the following legend: Jamadagni was a skilled bow shooter, and his devoted wife Renuka would always recover each of his arrows immediately. One time however, it took her a whole day to fetch the arrow, and she later blamed the heat of the sun for the delay. The angry Jamadagni shot an arrow at the sun. The sun begged for mercy and offered Renuka an umbrella. Jean Baptiste Tavernier, in his 17th century book "Voyage to the East", says that on each side of the Mogul's throne were two umbrellas, and also describes the hall of the King of Ava was decorated with an umbrella. The chháta of the Indian and Burmese princes is large and heavy, and requires a special attendant, who has a regular position in the royal household. In Ava it seems to have been part of the king's title, that he was "King of the white elephant, and Lord of the twenty-four umbrellas." In 1855 the King of Burma directed a letter to the Marquis of Dalhousie in which he styles himself "His great, glorious, and most excellent Majesty, who reigns over the kingdoms of Thunaparanta, Tampadipa, and all the great umbrella-wearing chiefs of the Eastern countries". Simon de la Loubère, who was Envoy Extraordinary from the French King to the King of Siam in 1687 and 1688, wrote an account entitled a "New Historical Relation of the Kingdom of Siam", which was translated in 1693 into English. According to his account, the use of the umbrella was granted to only some of the subjects by the king. An umbrella with several circles, as if two or three umbrellas were fastened on the same stick, was permitted to the king alone; the nobles carried a single umbrella with painted cloths hanging from it. The Talapoins (who seem to have been a sort of Siamese monks) had umbrellas made of a palm-leaf cut and folded, so that the stem formed a handle. The Royal Nine-Tiered Umbrella is one of the royal regalia of Thailand. The At district of Tenochtitlan was reported to have used an umbrella made from feathers and gold as its pantli, an identifying marker that is the equivalent of a modern flag. The pantli was carried by the army general. 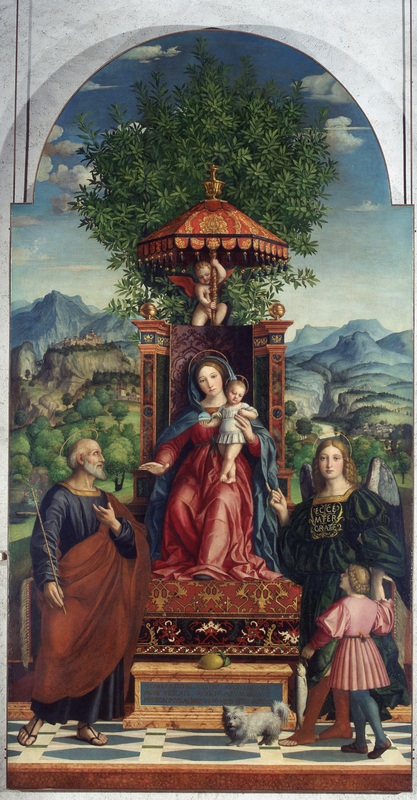 One of the earliest depictions is in a painting by Girolamo dai Libri from 1530 titled Madonna dell Ombrello (Madonna of the Umbrella) in which the Virgin Mary is sheltered by a cherub carrying a large, red umbrella. Thomas Wright, in his Domestic Manners of the English, gives a drawing from the Harleian MS., No. 604, which represents an Anglo-Saxon gentleman walking out attended by his servant, the servant carrying an umbrella with a handle that slopes backwards, so as to bring the umbrella over the head of the person in front. It probably could not be closed, but otherwise it looks like an ordinary umbrella, and the ribs are represented distinctly. The use of the parasol and umbrella in France and England was adopted, probably from China, about the middle of the seventeenth century. 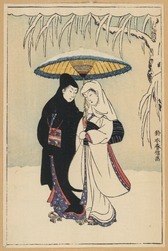 At that period, pictorial representations of it are frequently found, some of which exhibit the peculiar broad and deep canopy belonging to the large parasol of the Chinese Government officials, borne by native attendants. John Evelyn, in his Diary for 22 June 1664, mentions a collection of rarities shown to him by "Thompson", a Roman Catholic priest, sent by the Jesuits of Japan and China to France. 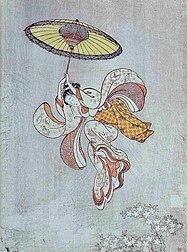 Among the curiosities were "fans like those our ladies use, but much larger, and with long handles, strangely carved and filled with Chinese characters", which is evidently a description of the parasol. And many of them doe carry other fine things of a far greater price, that will cost at the least a duckat, which they commonly call in the Italian tongue umbrellas, that is, things which minister shadowve to them for shelter against the scorching heate of the sunne. These are made of leather, something answerable to the forme of a little cannopy, & hooped in the inside with divers little wooden hoopes that extend the umbrella in a pretty large compasse. They are used especially by horsemen, who carry them in their hands when they ride, fastening the end of the handle upon one of their thighs, and they impart so large a shadow unto them, that it keepeth the heate of the sunne from the upper parts of their bodies. a fan, a canopie. also a testern or cloth of state for a prince. also a kind of round fan or shadowing that they vse to ride with in sommer in Italy, a little shade. Also a bonegrace for a woman. Also the husk or cod of any seede or corne. also a broad spreding bunch, as of fenell, nill, or elder bloomes. 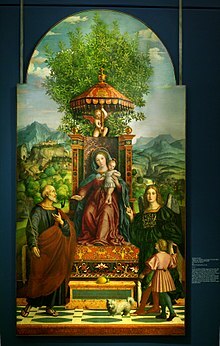 An umbrello; a (fashion of) round and broad fanne, wherewith the Indians (and from them our great ones) preserve themselves from the heat of a scorching sunne; and hence any little shadow, fanne, or thing, wherewith women hide their faces from the sunne. In Fynes Moryson's Itinerary (1617) is a similar allusion to the habit of carrying umbrellas in hot countries "to auoide the beames of the Sunne". Their employment, says the author, is dangerous, "because they gather the heate into a pyramidall point, and thence cast it down perpendicularly upon the head, except they know how to carry them for auoyding that danger". During Streynsham Master's 1676 visit to the East India Company's factory in Masulipatnam he noted that only the governor of the town and the next three officials in seniority were allowed to have "a roundell [i.e. umbrella] carried over them." Kersey's Dictionary (1708) describes an umbrella as a "screen commonly used by women to keep off rain". 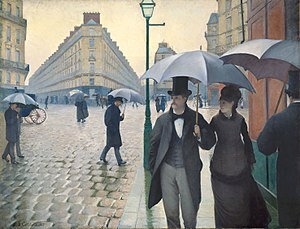 The first lightweight folding umbrella in Europe was introduced in 1710 by a Paris merchant named Jean Marius, whose shop was located near the barrier of Saint-Honoré. It could be opened and closed in the same way as modern umbrellas, and weighed less than one kilogram. Marius received from the King the exclusive right to produce folding umbrellas for five years. A model was purchased by the Princess Palatine in 1712, and she enthused about it to her aristocratic friends, making it an essential fashion item for Parisiennes. In 1759, a French scientist named Navarre presented a new design to the French Academy of Sciences for an umbrella combined with a cane. Pressing a small button on the side of the cane opened the umbrella. In Daniel Defoe's Robinson Crusoe, Crusoe constructs his own umbrella in imitation of those that he had seen used in Brazil. "I covered it with skins", he says, "the hair outwards, so that it cast off the rain like a pent-house, and kept off the sun so effectually, that I could walk out in the hottest of the weather with greater advantage than I could before in the coolest." From this description the original heavy umbrella came to be called "Robinson" which they retained for many years in England. 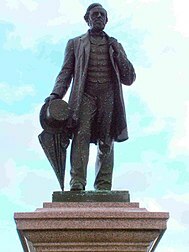 Captain James Cook, in one of his voyages in the late 18th century, reported seeing some of the natives of the South Pacific Islands with umbrellas made of palm leaves. The use of the umbrella or parasol (though not unknown) was uncommon in England during the earlier half of the eighteenth century, as is evident from the comment made by General (then Lieut.-Colonel) James Wolfe, when writing from Paris in 1752; he speaks of the use of umbrellas for protection from the sun and rain, and wonders why a similar practice did not occur in England. 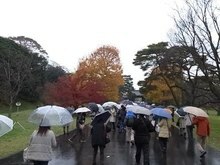 About the same time, umbrellas came into general use as people found their value, and got over the shyness natural to its introduction. Jonas Hanway, the founder of the Magdalen Hospital, has the credit of being the first man who ventured to dare public reproach and ridicule by carrying one habitually in London. As he died in 1786, and he is said to have carried an umbrella for thirty years, the date of its first use by him may be set down at about 1750. John Macdonald relates that in 1770, he used to be addressed as, "Frenchman, Frenchman! why don't you call a coach?" whenever he went out with his umbrella. By 1788 however they seem to have been accepted: a London newspaper advertises the sale of 'improved and pocket Umbrellas, on steel frames, with every other kind of common Umbrella.' But full acceptance is not complete even today with some considering umbrellas effete. Since then, the umbrella has come into general use, in consequence of numerous improvements. In China people learned how to waterproof their paper umbrellas with wax and lacquer. The transition to the present portable form is due, partly, to the substitution of silk and gingham for the heavy and troublesome oiled silk, which admitted of the ribs and frames being made much lighter, and also to many ingenious mechanical improvements in the framework. Victorian era umbrellas had frames of wood or baleen, but these devices were expensive and hard to fold when wet. Samuel Fox invented the steel-ribbed umbrella in 1852; however, the Encyclopédie Méthodique mentions metal ribs at the end of the eighteenth century, and they were also on sale in London during the 1780s. Modern designs usually employ a telescoping steel trunk; new materials such as cotton, plastic film and nylon often replace the original silk. National Umbrella Day is held on 10 February each year around the world. In 1928, Hans Haupt's pocket umbrellas appeared. In Vienna in 1928, Slawa Horowitz, a student studying sculpture at the Akademie der Bildenden Kunste Wien (Academy of Fine Arts), developed a prototype for an improved compact foldable umbrella for which she received a patent on 19 September 1929. The umbrella was called "Flirt" and manufactured by the Austrian company "Brüder Wüster" and their German associates "Kortenbach & Rauh". In Germany, the small foldable umbrellas were produced by the company "Knirps", which became a synonym in the German language for small foldable umbrellas in general. In 1969, Bradford E Phillips, the owner of Totes Incorporated of Loveland, Ohio, obtained a patent for his "working folding umbrella". Umbrellas have also been fashioned into hats as early as 1880 and at least as recently as 1987. Golf umbrellas, one of the largest sizes in common use, are typically around 62 inches (157 cm) across, but can range anywhere from 60 to 70 inches (150 to 180 cm). Umbrellas are now a consumer product with a large global market. As of 2008, most umbrellas worldwide are made in China, mostly in the Guangdong, Fujian and Zhejiang provinces. The city of Shangyu alone had more than a thousand umbrella factories. In the US alone, about 33 million umbrellas, worth $348 million, are sold each year. Umbrellas continue to be actively developed. In the US, so many umbrella-related patents are being filed that the U.S. Patent Office employs four full-time examiners to assess them. As of 2008, the office registered 3000 active patents on umbrella-related inventions. Nonetheless, Totes, the largest American umbrella producer, has stopped accepting unsolicited proposals. Its director of umbrella development was reported as saying that while umbrellas are so ordinary that everyone thinks about them, "it's difficult to come up with an umbrella idea that hasn’t already been done." While the predominate canopy shape of an umbrella is round, canopy shapes have been streamlined to improve aerodynamic response to wind. Examples include the stealth-shaped canopy of Rizotti (1996), scoop-shaped canopy of Lisciandro (2004), and teardrop-shaped canopies of Hollinger (2004). In 2005 Gerwin Hoogendoorn, a Dutch industrial design student of the Delft University of Technology in the Netherlands, invented an aerodynamically streamlined storm umbrella (with a similar shape as a stealth plane) which can withstand wind force 10 (winds of up to 100 km/h or 70 mp/h) and won't turn inside-out like a regular umbrella as well as being equipped with so-called ‘eyesavers’ which protect others from being accidentally wounded by the tips. Hoogendoorn's storm umbrella was nominated for and won several design awards and was featured on Good Morning America. The umbrella is sold in Europe as the Senz umbrella and is sold under license by Totes in the United States. Alan Kaufman's "Nubrella" and Greg Brebner's "Blunt" are other contemporary designs. The umbrella is used in weather forecasting as an icon for rain. Two variations, a plain umbrella (☂, U+2602) and an umbrella with raindrops overhead (☔, U+2614), are encoded in the Miscellaneous Symbols block of Unicode. As a canopy of state, umbrellas were generally used in southern and eastern Europe, and then passed from the imperial court into church ceremony. They are found in the ceremonies of the Byzantine Rite, were borne over the Host in procession, and form part of the Pontifical regalia. The ombrellino or umbraculum is a historic piece of the papal regalia. Although the popes no longer use it personally, it is displayed on the coat of arms of a sede vacante (the papal arms used between the death of a pope and the election of his successor). This umbraculum is normally made of alternating red and gold fabric, and is usually displayed in a partially unfolded manner. 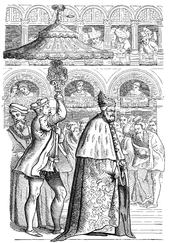 The popes have traditionally bestowed the use of the umbraculum as a mark of honor upon specific persons and places. The use of an umbraculum is one of the honorary symbols of a basilica and may be used in the basilica's coat of arms, and carried in processions by the basilica's canons. A large umbrella is displayed in each of the Basilicas of Rome, and a cardinal bishop who receives his title from one of those churches has the privilege of having an umbrella carried over his head in solemn processions. It is possible that the galero (wide-brimmed cardinal's hat) may be derived from this umbrella. Beatiano, an Italian herald, says that "a vermilion umbrella in a field argent symbolises dominion". 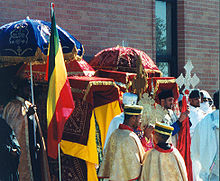 Ethiopian Orthodox clergymen lead a procession in celebration of Saint Michael. The priests carry ornately covered Tabota around the church's exterior, assisted by deacons holding liturgical umbrellas. An umbrella, also known as the umbraculum or ombrellino, is used in Roman Catholic liturgy as well. It is held over the Holy Sacrament of the Eucharist and its carrier by a server in short processions taking place indoors, or until the priest is met at the sanctuary entrance by the bearers of the processional canopy or baldacchino. It is regularly white or golden (the colours reserved for the Holy Sacrament) and made of silk. In several Oriental Orthodox Churches, such as the Ethiopian Orthodox Tewahedo Church, umbrellas are used liturgically to show honor to a person (such as a bishop) or a holy object. In the ceremonies of Timkat (Epiphany), priests will carry a model of the Tablets of Stone, called a Tabot, on their heads in procession to a body of water, which will then be blessed. Brightly colored embroidered and fringed liturgical parasols are carried above the Tabota during this procession. Such processions also take place on other major feast days. Umbrellas with a reflective inside are used by photographers as a diffusion device when employing artificial lighting, and as a glare shield and shade, most often in portrait situations. Some umbrellas are shoot-through umbrellas, meaning the light goes through the umbrella and is diffused, rather than reflecting off the inside of the umbrella. In 1838, the Baron Charles Random de Berenger instructed readers of his book How to Protect Life and Property in several methods of using an umbrella as an improvised weapon against highwaymen. In 1897, journalist J. F. Sullivan proposed the umbrella as a misunderstood weapon in a tongue-in-cheek article for the Ludgate Monthly. Between 1899 and 1902, both umbrellas and walking sticks as self defence weapons were incorporated into the repertoire of Bartitsu. In January 1902, an article in The Daily Mirror instructed women on how they could defend themselves from ruffians with an umbrella or parasol. In March 2011, media outlets revealed that French president Nicolas Sarkozy had started using a £10,000 armor-plated umbrella to protect him from attackers. "Para Pactum" is a Kevlar-coated device made by The Real Cherbourg. It will be carried by a member of Sarkozy's security team. During the 2014 Hong Kong protests, sometimes referred to as the "Umbrella Revolution", protesters used umbrellas as shields against the pepper spray and tear gas used by riot police. In 1978, Bulgarian dissident writer Georgi Markov was killed in London by a dose of ricin injected via a modified umbrella. The KGB is widely believed to have developed a modified umbrella that could deliver a deadly pellet. In 2005, in a well-known case in South Africa, Brian Hahn, associate professor in mathematics and applied mathematics at the University of Cape Town, was beaten to death with an umbrella by ex-doctoral student Maleafisha Steve Tladi. John Steed, in the television series The Avengers, used an umbrella which was part yardstick. In the film Batman Returns (1992), the Penguin (Danny DeVito) sports a bullet and gas-firing umbrella. A high-tech bullet-resistant umbrella is used extensively as a weapon in the film Kingsman: The Secret Service (2015), by characters Harry Hart (Colin Firth) and Eggsy Unwin (Taron Egerton). In the Kirby video game series, one of Kirby's Copy Abilities, called Parasol, has Kirby using a parasol as a weapon. It is also used to slow Kirby's descent when in the air. In the 1950s Frei Otto transformed the universally used individual umbrella into an item of lightweight architecture. He developed a new umbrella form, based on the minimum surface principle. The tension loaded membrane of the funnel-shaped umbrella is now stretched under the compression-loaded bars. This construction type made it technically and structurally possible to build very large convertible umbrellas. The first umbrellas of this kind (Federal Garden Exhibition, Kassel, 1955) were fixed, Frei Otto constructed the first convertible large umbrellas for the Federal Garden Exhibition in Cologne 1971. In 1978 he built a group of ten convertible umbrellas for British rock group Pink Floyd's American tour. The great beauty of these lightweight structures inspired many subsequent projects built all over the world. The largest convertible umbrellas built until now were designed by Mahmoud Bodo Rasch and his team at SL-Rasch to provide shelter from sun and rain for the great mosques in Saudi Arabia. Later works by the architect Le Corbusier such as Centre Le Corbusier and Villa Shodhan involve a parasol, which served as a roof structure and provided cover from the sun and wind. 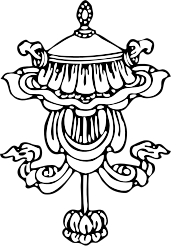 The parasol is one of the Eight Auspicious Symbols of Tibetan Buddhism. Wikimedia Commons has media related to Umbrellas. ^ "En-tout-cas". merriam-webster.com. Retrieved 2018-07-13. ^ Ong, Siew Chey (2005). China condensed: 5000 years of history & culture (1st ed.). Singapore: Times Editions Marshall Cavendish. p. 170. ISBN 978-981-261-067-6. ^ Weiss, Julian (2001). Tigers' roar: Asia's recovery and its impact. Armonk, New York: Sharpe. p. 76. ISBN 978-0-7656-0784-3. ^ Ronan, Colin A. (1994). The shorter Science and civilisation in China: 4. Cambridge: Cambridge University Press. p. 42. ISBN 978-0-521-32995-8. ^ "oxforddictionaries.com". oxforddictionaries.com. Retrieved 10 October 2013. ^ "''WorldWideWords'' – Origin of the word "Bumbershoot"". Worldwidewords.org. 13 October 2002. Archived from the original on 16 April 2018. Retrieved 10 October 2013. ^ Needham, Joseph (1986). Science and Civilization in China: Volume 4, Physics and Physical Technology, Part 2: Mechanical Engineering. Taipei: Caves Books, Ltd. Page 70. ^ Needham, Joseph (1986). Science and Civilization in China: Volume 4, Physics and Physical Technology, Part 2: Mechanical Engineering. Taipei: Caves Books, Ltd. Page 70–71. ^ a b c Needham, Joseph (1986). Science and Civilization in China: Volume 4, Physics and Physical Technology, Part 2: Mechanical Engineering. Taipei: Caves Books, Ltd. Page 71. ^ a b c d e f g h i j k l Sangster, William, 1808–1888. Umbrellas and Their History. London: Cassell, Petter, and Galpin . Available online as Gutenberg etext 6674, retrieved March 2005. ^ M. C. Miller, "The Parasol: An Oriental Status-Symbol in Late Archaic and Classical Athens", JHS 112 (1992), p. 91 [91–105]. ^ Aristophanes, Knights, 1347–1348 and scholia. ^ Pherecrates fr.70 PCG apud Athenaeus, 13.612a and 15.687a. ^ Kurke, 1992: 96; cf. Neer, 2002: 19. ^ Pattanaik, Devdutt (2003). Indian Mythology. p. 16. ISBN 0-89281-870-0. ^ a b c d e f g h i j k Sangster, William (2005) [Published in 1871]. Umbrellas and their history. Elibron Classics. pp. 35–37. ISBN 978-1-4021-6168-1. ^ Bowrey, Thomas (1895). Temple, Richard Carnac, ed. A Geographical Account of Countries Round the Bay of Bengal, 1669 to 1679. p. 86. ^ a b c d Fierro 1996, p. 1047. ^ a b "The Times". 13 February 1788: 3. ^ "National Umbrella Day". thedaysoftheyear.com. Archived from the original on 20 November 2016. ^ Powerhouse Museum. "Prototype umbrella". Powerhouse Museum, Australia. Retrieved 14 April 2015. ^ "1987 U.S. Patent Patent number: 4760610, Patent by Bing T. Wu for Umbrella Hat". Google.com. Retrieved 10 October 2013. ^ "What is a golf umbrella? Conjecture Corporation, 2013". Wisegeek.com. 2013. Archived from the original on 27 September 2013. Retrieved 23 September 2013. ^ a b Orlean, Susan (11 February 2008). "Thinking in the Rain: An artist takes on the umbrella". The New Yorker. Archived from the original on 29 April 2010. Retrieved 24 April 2010. ^ "United States Patent: 5642747 - Hand-held aerodynamic umbrella". Archived from the original on 30 April 2017. ^ a b "nationalgeographic.com: Contemporary parasol designs". Ngm.nationalgeographic.com. Archived from the original on 29 July 2013. Retrieved 10 October 2013. ^ "En garde: French presidential bodyguards reveal latest weapon... a black umbrella that changes into a defensive shield". The Daily Mail. 31 March 2011. Archived from the original on 28 July 2012. Retrieved 30 June 2011. ^ "Images of Hong Kong's 'Umbrella Revolution' Tell a Story". sinosphere.blogs.nytimes.com. ^ Marsden, Sam (21 June 2008). "Detectives on the trail of defector's poison umbrella assassin". Birmingham Post (International). Birmingham (UK). p. 6. Retrieved 14 September 2016. ^ "UCT prof dies of injuries". News24. 5 February 2005. Archived from the original on 2 October 2013. Retrieved 10 October 2013. ^ "SL-RASCH – Special and Lightweight Structures". Institute for Scientific Architecture. ^ Molloy, Jonathan (24 January 2013). "AD Classics: Centre Le Corbusier (Heidi Weber Museum) / Le Corbusier". archdaily.com. Archived from the original on 25 December 2015. Retrieved 24 December 2015.